Muslims around the world have been turning to Jesus as Christ sends his amazing messages of faith, love and hope. Christians are persecuted in the Middle East, where they are a minority and Muslims are the majority – but all things are possible in Christ. Through the miracles of dreams and visions, many Muslims are converting to follow the Great I Am. Open Door USA shared the story of Amir and Rasha, both of whom are using assumed names for their protection. Amir and Rasha fled their homes in Homs with their two children. Amir shared he had a dream at around the same time. Amir and Rasha, who were Muslims when Christ approached them, made a monumental decision. Amir stopped going to the mosque but Rasha continues to dress as a Muslim woman with her head covered by a veil. “Our clan is very big; we’re afraid now. They might kill us,” Rasha explained. 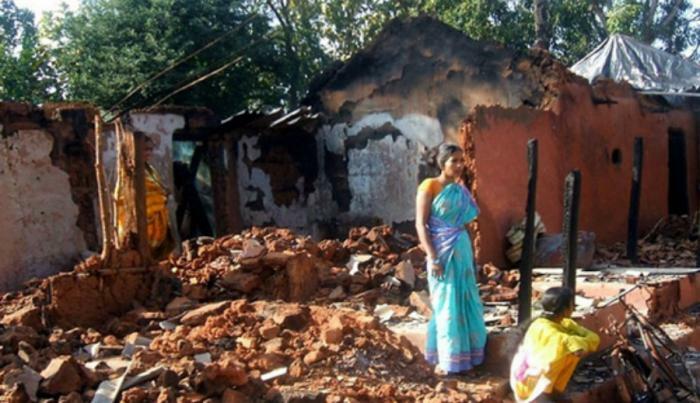 Christians in India face much discrimination and danger. Rasha said they were no longer safe in their community. “We now have no fixed place to life, we go from place to place,” she described. Knowing their future is uncertain, they still hold hope. Many others have shared their stories of hope and faith in the Lord as well. Knowing the dangers of converting to Christianity, Radwan threw caution to the wind and faithfully followed Jesus. He was accepted as a member of the Christian church and was baptized with his wife and children. Bishop George Saliba reported he has baptized roughly 100 Muslim Syrian refugees since 2011. It is illegal for Muslims to convert in Muslim-majority countries and many refugees are desperate for something real, something their faith can’t fill, so when Christ offers them hope, love and eternity, they accept. He was given a Bible by a Christian man he killed and, later, he began to read it. It was then he received the dream where Jesus invited him to become a follower of Christ. Please pray for Muslims around the world. Ask for more dreams and visions for these lost souls. Turn the tide of the world with miracles and conversions to Christ. I find all articles and there issues discussed here that are very useful.